exposure, supportive services and coaching to prepare them for success in post-secondary healthcare pathways. Programming will begin in high school and continue post-graduation. 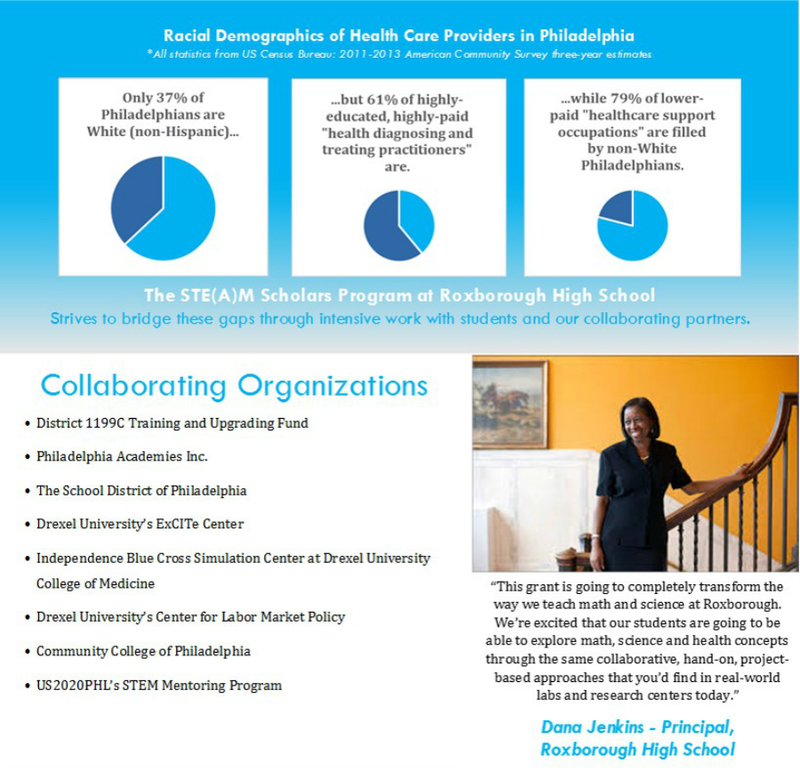 This 5-year project strives to develop a replicable and scalable pipeline program model that increases the success of minority students through through high school science and math classes and into post-secondary programs of study preparing them for careers in healthcare, technology and the sciences. This project will create a STE(A)M Learning Lab at Roxborough, modeled on Drexel University's innovative, interdisciplinary Expressive and Creative Interaction Technologies (ExCITe) Center. This investment will transform STE(A)M learning for all students through hands-on, collaborative, interdisciplinary, project-based learning. Roxborough High School is a Career Academy school. Career Academies are an evidence-based approach designed to prepare students for both college and careers. They are "schools-within-schools" that link students with peers, teachers and partners in a structured industry-themed environment, fostering rigorous and relevant learning necessary for academic and career success. 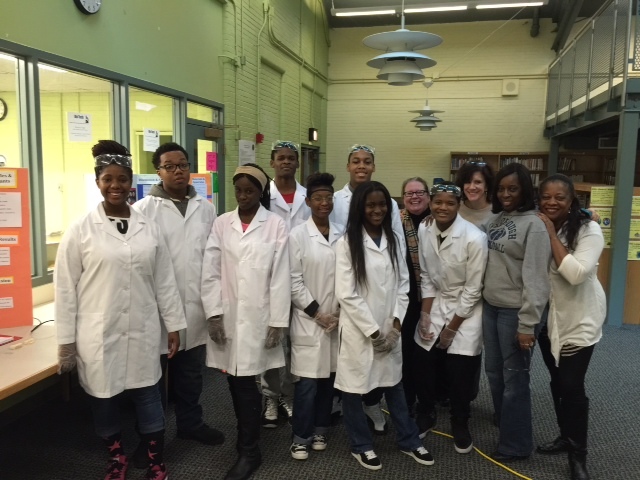 The STE(A)M Scholars project is affiliated with Roxborough's Academy of the Sciences. Funded by the US Department of Health & Human Services, Office of the Assistant Secretary for Health / Office of Minority Health.